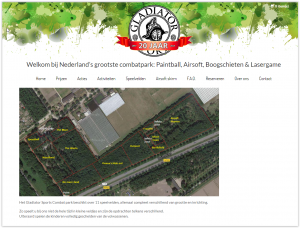 Gladiator Sports Almere is the biggest paintball park in the Netherlands . The park is spread over 10 hectares and has10 playing fields. In addition there is free wifi, bathrooms, and a practice range. Helmet and protective gear are mandatory and supplied so you have no risk of serious injury. But make no mistake, getting shot with a paintball hurts, and getting shot at close range hurts a lot so be prepared to have a few welts to show your friends for a few days after battle. Each playing field is named and has unique features. This allows for nearly endless replayability. If paintball isn’t your game, you can chose to play laser tag. With Laser tag you have unlimited ammo which is the biggest cost in paintball. Laser tag is played on the same fields as paintball so you get all the fun with a lot less pain and cost. 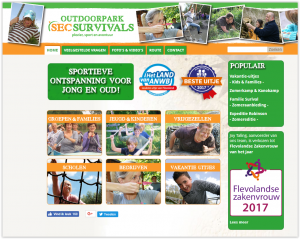 Almere is full of incredible open air exercise parks and the Ourdoorpark Sec Survivals is one such place. Not a long way from the Waterlandsebos range that contains De Kemphaan, the recreation center offers an extraordinary assortment of open air exercises for all ages. Attempt your hand at bows and arrows, survival skills, and the challenging obstacle course. Campfires and pea soup await those who survive the obstacle course. In the event that you are searching for a dynamic outdoor experience, Outdoorpark Survival is ensured to challenge and excite. Indoor Ski Almere is an indoor center where you can take ski lessons and snowboard lessons all year round. The location is also used for ski themed parties. You can rent the party room separately or in combination with ski lessons. The center has two rail trails, one for beginners and a second for experienced users as the incline and speed can be adjusted. Since most of the Netherlands is flat, and Flevoland in particular is lacking many hills, Indoor Ski is the place to keep your skills fresh until winter comes and you can head to the Alps.